I have been improvising since 2002. 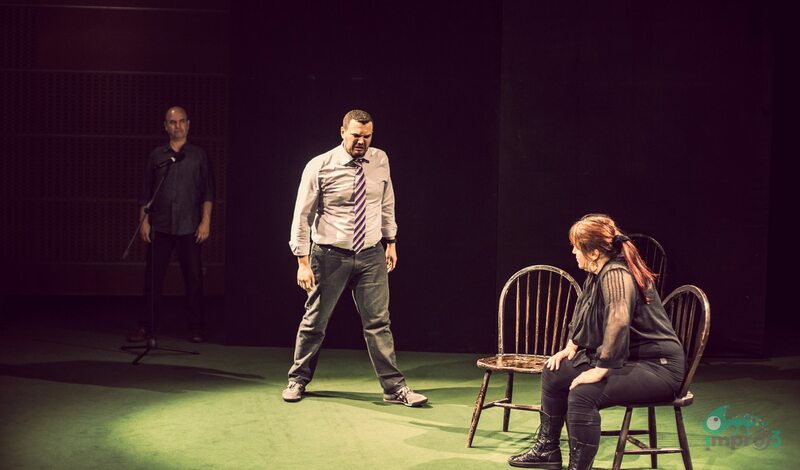 With a BA in Theatre Arts, followed by several years of training and performing in Chicago at world-renowned improv institutions The Second City, The iO Theatre and ComedySportz, I play with a distinct style combining “Chicago Style” with my own personal playfully emotional style of improvisation. Since moving to Finland I have turned my passion into my profession. Not only do I teach and perform regularly in Tampere, but I also travel around Europe teaching and performing at Festivals and other events. I’ve performed with and trained improvisers from all around the world. In addition to performing, I also teach improvisation professionally throughout Finland and Europe. I run Finland’s first English-Language Improv Training Center The improvAcademy, where I teach weekly Improv classes to beginners, amateurs, and professional improvisers. I also travel a lot and teach workshops, intensive courses, and applied improv. I specialize in teaching organic, relationship-based improvisation, as well as Free-Form Improv, The Harold, Musical Improv, and Freestyle Rap. You can find a list of my popular workshops HERE. I’m registered as an Improv Teacher on The Improv Network, and look forward to working with your group soon! I am constantly trying to challenge myself and find a way to grow as an improviser and support other improvisers from around the world. So in early 2015 I came up with my new format: GUEST + IMPROV. Inspired by shows like Messing with a Friend, DeFrancisCO and Neil + 1, GUEST + IMPROV is a show where I invite an improviser on stage with me to do a 2-person show that we have never rehearsed. For me, it is a test to see how supportive of a player I can be. In Tampere, GUEST is part of ComedyO’Connell’s. In this version, I invite a team from around Finland (or the world) to perform their own format on stage in the 1st half of the show. Then, I randomly select 1 player from the team to join me on stage in the 2nd half. It is an amazing experience, and has quickly become one of my highlights each month. Now I have started bringing the show with me wherever I travel, finding an opportunity to play with players and teams throughout the world. Are you interested in joining GUEST as a team? Do you want to have me come to teach your group and perform GUEST where you are? Please don’t hesitate to CONTACT ME and we’ll set something up! I truly love doing this show, and I want to soak up all the opportunities I can get! JadaJada is my hometown improv team. This is the group that started it all for me here in Finland! And I am so lucky to have a great bunch of friends to play with. Performing with JadaJada is my reward for working so hard, and I rarely miss a show! When I play with JadaJada, I get to let my hair down and just have fun! Mixing the kinetic energy of beatboxing and freestyle rapping with patient, grounded, relationship-based longform improv, Milly Can Rap is a one-of-a-kind two-man freestyle improv show. Enter your email address to subscribe to An Improviser Prepares!